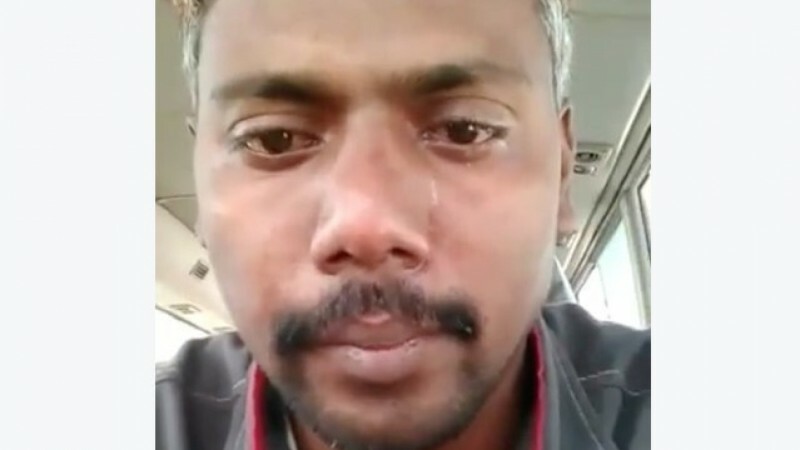 An Indian man has been arrested in Saudi Arabia after a video of him tearfully detailing the inhumane conditions he faces as a migrant laborer appeared on Facebook. Abdul Sattar Makandar was arrested by Saudi police on 14 February after they received a complaint from his employer. He is being held under a Saudi law which criminalizes the “spread of misinformation” on the Internet. Makandar is one of roughly 1.5 million Indian migrant workers in Saudi Arabia. Originally from Dandeli in the southwestern state of Karnataka, the 35-year-old was working as a truck driver at a construction engineering firm in eastern Saudi Arabia. On 12 February, 2016, Makandar sent a video to New Delhi-based social activist Kundan Srivastava, who posted it online in an effort to help him. In the video, he cries and says his employer of 23 months has not paid him regularly so he cannot buy enough food, nor has his employer granted him any leave time off to visit his home in India. He says he now wants to leave the country and return to India, but his employer has confiscated his Aqama (work permit) and passport. He also claims that he was forced to sign unknown documents that allow the employer to deduct 100 Saudi Arabian riyals (about 26 US dollars) per month. The video was widely shared in a few days’ time and made headlines in several news outlets in India and elsewhere. Makandar's employer, the Al Suroor United Group, denied the accusations to the BBC, saying that Makandar is eligible for leave after two years of service, which is about one month away. Under Saudi Arabian law, migrant workers must obtain an exit visa from their employer if they want to leave the country. The company also claimed he was being paid regularly and on time with due bonus, and that he could resign from his job at any time. I apologies on behalf of Abdul Sattar Makandar, and myself to company Al Suroor United Group, Saudi Arabia. I deleted the Video now which was uploaded on my official page and would urge the company authorities to forgive Abdul Sattar Makandar mistakes which had done according to your rules and regulations. Makandar was briefly released from custody on 17 February, but was arrested again on 18 March, according to Srivastava. Although Srivastava deleted the video, many copies circulated on YouTube and other video hosting sites in the interim. It joins a cache of similar videos, in which laborers detail the brutal working conditions they endure in Gulf countries. Saudi Arabia has long been accused of violating the human rights of its large migrant worker population. In 2014, Saudi Arabia finally agreed to a standard contract for Indian domestic workers, but as portal Migrant Rights reported, the contract failed to stipulate a maximum on daily working hours and didn't guarantee workers’ freedom of mobility during time off, nor private access to communication, making it difficult for workers to file complaints. 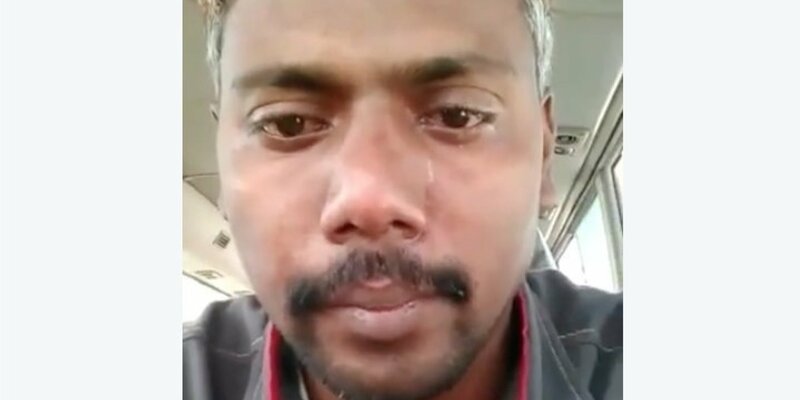 Makandar's case led some Internet users to revisit these videos, such as this video, posted on YouTube last year, in which a group of Indian migrant workers explain their plight in Saudi Arabia. I´ve worked in Saudi Arabia, and this is too normal. They work through Saudi Arabia Sponsors: Basically you give your passport they give you the Iqama or permit to work. What happens is that lot of sponsors don´t pay their workers and when people ask for their passports they ask for a lot of money. Yes, it´s slavery. When I was there I use to give them money from my pocket for being such a bad situation, people not being paid for several months, and some didn´t complain because they said at least we gave them food in the camp. People stucked in a country where they are treated worse than dogs, for years in very bad conditions, that´s the reality “necessary” for us to fuel our tanks. Infuriating and depressing. Nope [the government] rarely ever intervene in such issues. It's more of a ‘Oh that's too bad’ attitude that the embassy keeps. Not even the media reports on such issues back at home. The Indian media only gets on the story after such videos go viral and are featured in American and European news. For now, Kundan Srivastava continues to post about the case and about the plight of another driver. Due to conflicting reports from Saudi police, Makandar's precise whereabouts are unknown.